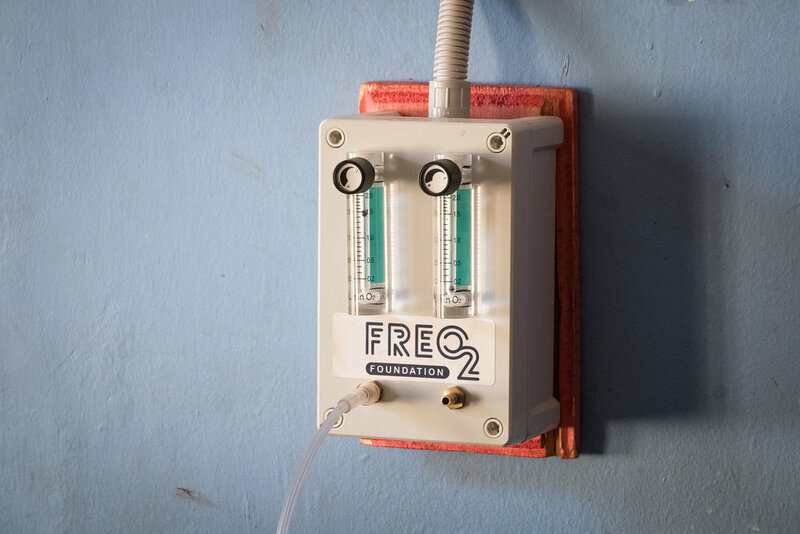 THE RIGHT TO ACCESS MEDICAL CARE"
The principal goals of FREO2 Foundation Australia are to create, rigorously test, and deploy at scale, new technology that helps reduce unjust inequalities in health. Our company, FREO2 Pty Ltd, exists solely to help reach the same goals. Our major target is to improve care (diagnosis and treatment) at the under-resourced periphery of the health service – the small district hospital and sub-district health centre or health post. We emphasise a multidisciplinary approach, bringing together students and experienced researchers and practitioners in physics, engineering, business, epidemiology, clinical medicine, public health and more. We work in mutually respectful partnerships with implementing organisations, whether in government health services, faith-based organisations or non-governmental organisations. We define development as a process through which people gain greater control over the circumstances of their lives^1. Through our technology we aim to give greater control to health workers and the people they serve. Concentrate on high-impact problems. Work on issues that will have the maximum health impact in the target health facilities, with the minimum imposition on already over-worked health workers. Minimise costs. Many countries have health budgets of only tens of dollars per head per year. All new technology must have the absolute minimum of capital and recurrent costs if it is to be useful. Don’t rely on distant experts – provide diagnostic information, for example, at the point of care. Experts are already busy, and it is preferable to strengthen the capacity of the local health worker on the spot. Minimise the need for training. Training is expensive and time-consuming. Wherever possible build on existing algorithms, knowledge and skills rather than replacing them. Make new technology that is intuitive and familiar to health workers. Fully test new technology before deploying it. Make testing rigorous and scientifically sound, and include usability and health economic assessments as well as clinical effectiveness. 1. A process, not an end-point. Economic improvement is a part of the story, insofar as it gives people greater control, but is not the goal itself.